Tere katili song lyrics were written by Nawab Wajid Ali Shah. The music has been composed by Muzaffar Ali & Ustad Shafqat Ali Khan, famous folk singer Malini Avasthi has given her voice to Tere Katili lyrics . 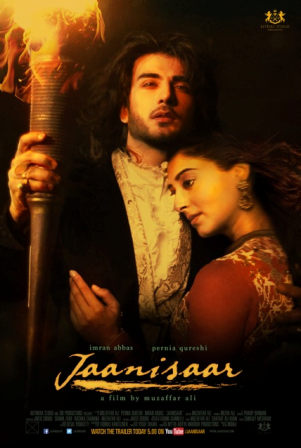 Director of Jaanisar movie is Muzaffar Ali, Imran Abbas played as male lead role and Pernia Qureshi is as leading actress. The album of Jaanisar was released on 24th July 2015.